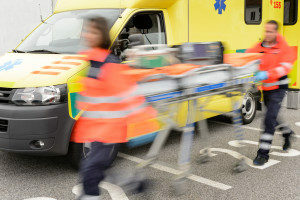 In New Jersey most people, when they are injured, have 2 years from the initial date of the accident to file a lawsuit, which is called the Statute of Limitations. A child, however, has an enlarged period of time by which they can file a case, which is 2 years after their 18th birthday. Aside from that fact, the case that a child makes is very similar to the case that any adult in New Jersey can make for a personal injury claim. The only other differences in a case in which a child is injured is that the parents or legal guardians must speak on behalf of the child at certain legal proceedings and they must also sign certain legal paperwork throughout the case. When the child does turn 18 years old, they can file their own case against the party that caused their injury even if their legal guardians have already filed a case before their 18th birthday. Statutes of limitations are important to be aware of because if you decide not to file your claim within the allotted amount of time that you have for your case, you will not be able to bring a lawsuit against the responsible party. That could be detrimental to you because you may not receive the compensation that you are entitled to. This compensation can cover anything from pain and suffering, lost wages, and medical expenses. If you fail to file your claim within the statutes of limitations, you will be left to cover these expenses on your own. Depending on the severity of your injuries, you may have to pay tens of thousands of dollars that you would not have to spend had you filed your claim within two years of the date of your injury.